Technology gets the best of us. Whenever there’s a problem, we have people working on a tool to fix it. Scientists are hard at work trying to come up with solutions to restore vision to the blind, but one Helsinki-based design studio has taken matters into its own hands, producing 3D printed versions of famous paintings like the Mona Lisa for the blind to experience. We rarely imagine what it’s like to live without the most important of all senses: sight. Yet millions of people live this way their whole lives, not being able to appreciate things like art or a night sky full of stars. Technology enables visually impaired people to read, write, even operate their phones and computers through guided access and voice recognition. But what about enabling them to appreciate visual art? The Unseen Art project, led by Marc Dillon, uses 3D imaging and sand-based 3D printing to recreate works by famous artists that blind people can “see” through their tactile sense, much like they do with Braille reading material. The quality and scale of the reproduced works are enough to grant them access into an art gallery. The project is looking to create an online repository where people can submit original art for anyone with a 3D printer to reproduce it for their aesthetic pleasure. Being fans of 3D printing ourselves, we are always excited to put our Ultimaker 2 and Zortrax to work. We’ll be sure to fire them up again when the repo is up and running. In the meanwhile, since you probably landed here for being equally interested in 3D printing, check out our precision experiment conducted with the Ultimaker. The cool thing about 3D printing that you have the option to design your own prints, or fetch existing models from the web. Some cost money, some are free. You can create anything from a simple door knob to more intricate designs, like a decorative Eiffel Tower replica. 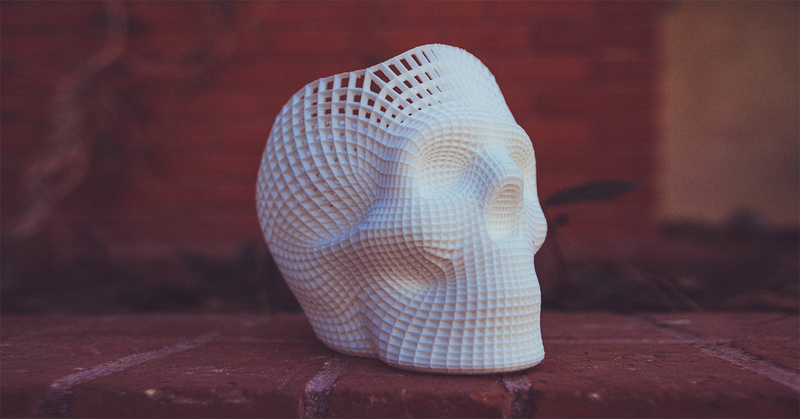 Today, 3D printers are still relatively expensive, but any owner will tell you that the results are worth every penny. Let us know what your favorite designs are, and what printer you used to bring them to life.